MONEO creates all bookkeeping transactions automatically, adjusts reports to user’s requirements, all data in MONEO is easy to overview and though you have complete understanding about the company’s financial situation. With peace of mind you can follow cash flow, plan and make the right decisions. Multicurrency documents and reports, automatic currency conversion. Data filters and sort function. Automatic State Electronic Declaration System (EDS) reports and Intrastat reports. Drag and drop report generation. 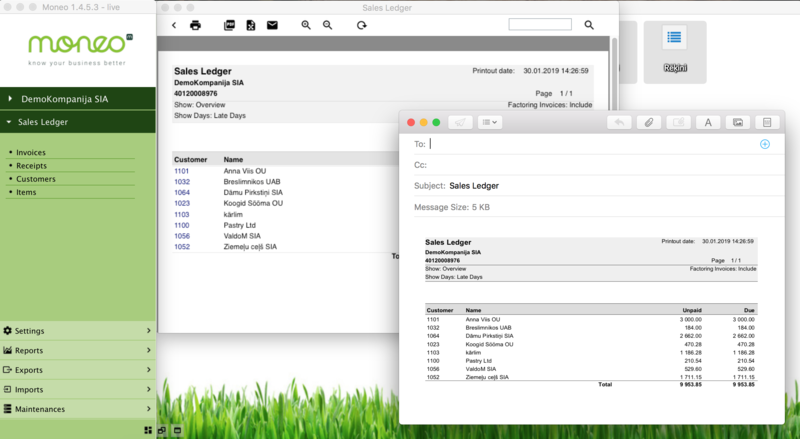 Auto transactions for complicated repeated documents. Tracking of asset movements, revaluations and write-offs. Asset depreciation history and reports. Automatic bookings of assets depreciation amounts. Nice looking asset reports and printouts. Expenses report can be filled in by any employee because complex account numbers have been replaced by self-explanatory expense groups. MONEO handles expense balance tracking by persons. You can pay an employee advance payment together with a salary, in one payment, to reduce bank commission costs. MONEO will take care of precise tracking and bookkeeping both amounts. MONEO provides a nice-looking expense report printout for you to sign on paper. 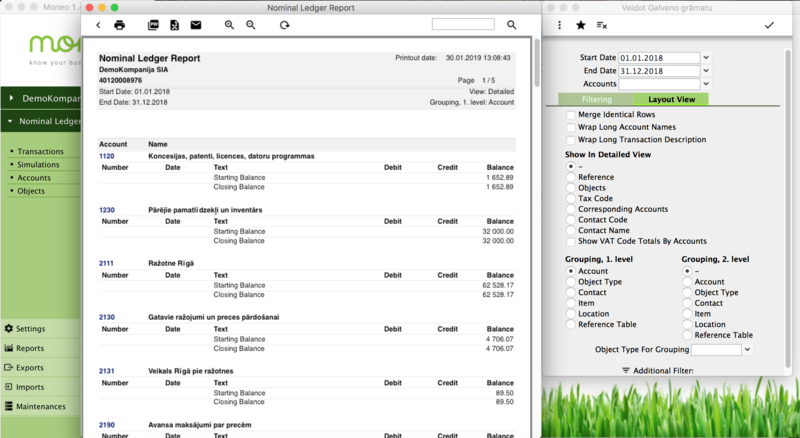 Bank statement data import and automatic linking to unpaid sales invoices, salary calculations, etc. Sending outgoing payment orders to bank directly from MONEO by exporting FiDAViSta data file. Cash In, Cash Out registers and cash book documents. Various transaction types and payment types – cash, credit card, gift card. 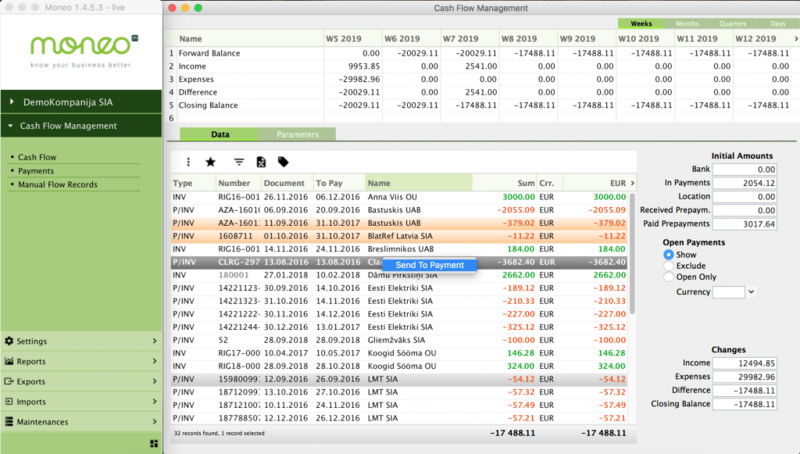 Multi-level reports with selected cost objects and cost groups. Report printout customisation with ‘drag-and-drop’. 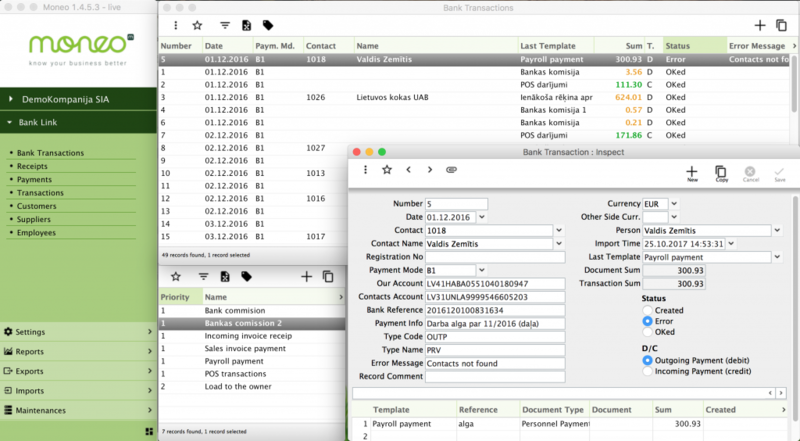 MONEO does most of monotonous data entry work for you: bank statement data is automatically imported or exported and linked to unpaid invoices; tax authority electronic reports and “Intrastat” reports are created as ready-to-send files – so you can get done things faster! Try MONEO 30 days for free! Download MONEO trial for free. Start your company books or check out demo version with data.